After a splendid romp out of the Gulf of Panama we settled into the familiar business of motoring. We will need to complete a thousand miles under power before I can trust our prop shaft coupling, but for now all seems to be working. The drive train seems a bit noisier, but I don’t know how sure I can be of that. 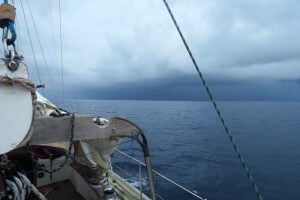 Two notable events – first, a nasty squall which crept up on us and had us gybe twice under full main and big genoa before we doused the sails. Cold, driving rain. A small tear in the genoa and two broken mainsail battens. The second was Miss Perfect’s splendid potato salad – spuds with her home-made mayonnaise, capers, tuna and artichoke hearts. Out here there is much flotsam – floating logs, plastic bottles and bits of junk. The larger logs are usually occupied by imperious boobies. I assume this stuff has been delivered north from the whole of south America on the Humboldt current. Or perhaps the current forms a gyre off the Gulf of Panama. Anyway, it is quite remarkable and a bit depressing. Now, we are dodging squall cells and just 20 miles NE of Malpelo Island. The island is our turning point, whence we head south direct to Ecuador. Coming out here allows us to avoid the adverse current and stormy weather, both stronger inshore. It is 300 miles down to Bahia de Caraquez in Ecuador. I hope we can pick up some breeze further south. Well at least we can say we visited Pacific Colombia. 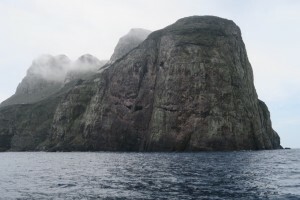 Isla Malpelo is a lonely outpost 300 miles off the coast, population 4. We called up the military post and requested position to approach. The island is not yacht hospitable. There are no anchorages and the water is 35 m deep right in to the cliffs. Fortunately, we found a solitary mooring west of the northern islet – the one that looks like Rodin’s Balzac. 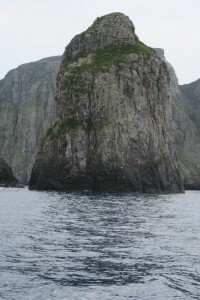 The main island’s sheer, thousand foot cliffs are home to countless nesting gannets and terns. The waters boast an extraordinary population of hammerhead sharks, which congregate in schools of up to 800. We saw none, but the knowledge of them didn’t stop Max taking her obligatory dip. I opted for a shower in the cockpit instead. The military base is halfway up the mountainside and is provisioned by supply ships which are unloaded by a gantry crane suspended over the water. 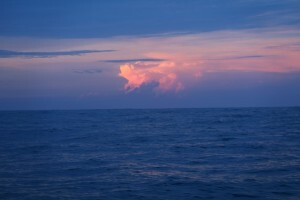 After a sleep we will set course for Ecuador, some 280 miles south. 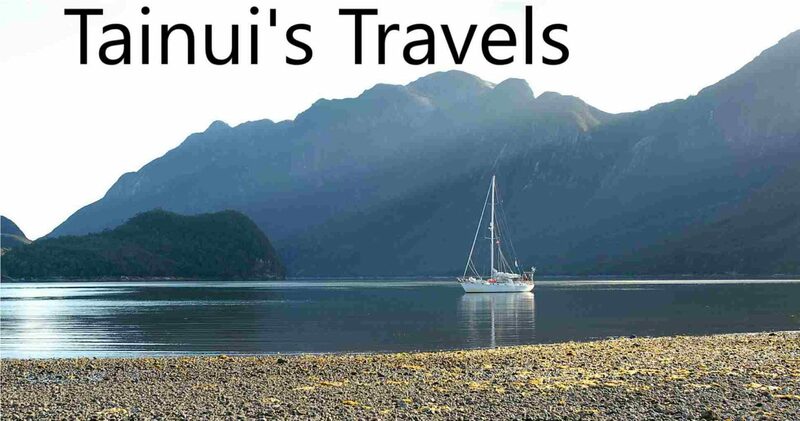 Hi Tainui! 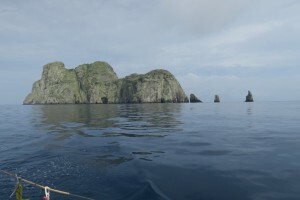 We are looking to sail to Malpelo to do some free diving for a couple of days before crossing the pacific. 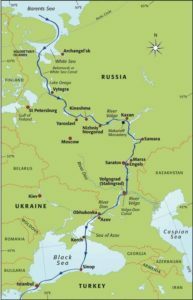 have you heard anything recent on cruising vessels stopping there and did you have to get any advance permits? Thanks! Hello there. In Tainui we just turned up. I called up the tiny military base and we were given permission to approach the islands but not to land. Note that landing is not physically possible and anchoring is a challenge – the depths quite close in are around 60 m, as I recall.